Two major wildfires continue to burn in Northern California, forcing the evacuation of thousands of people and their pets. As of early this morning, the Butte Fire, which is 37 percent contained, has burned 71,660 acres and destroyed 166 homes. About 10,000 people have been evacuated. Farther north, the Valley Fire, which is only 15 percent contained, has already burned 67,000 acres and destroyed 585 homes. About 13,000 people have been displaced. Shelters have been made available for all two- and four-legged evacuees. Donations of supplies for both have been pouring in. Animal rescuers in the Valley Fire area had the exact same thing to say about the good Samaritans there. “Teamwork! Petaluma Animal Services, Wine Country Animal Lovers, Compassion Without Borders and countless individuals and local businesses have demonstrated what it means to care,” the Sonoma Humane Society wrote on its Facebook page yesterday. Although many shelters currently have all the supplies they need, that may soon change, especially in the Valley Fire area. Because that wildfire moved so quickly, some pet parents had to evacuate without their pets. Starting today, those pets and other animals will, hopefully, be rescued. Here are a few ways you can help pets who have been affected by the wildfires. The good news is that thanks to so many generous donations, most shelters currently have more than enough supplies, but these will eventually need to be replenished. Cash donations are especially needed. American Red Cross Disaster Relief — Make a donation to via its website, by calling 1-800-RED CROSS (1-800-733-2767) or by texting the word REDCROSS to 90999 to make a $10 donation. Specify that you want it to go to California Wildfires. If you live in the Butte Fire area and can foster a pet whose home was destroyed — or if you’re a fire victim who needs a foster home for your pet, the Friends of the Animal Community (FOAC) Facebook page suggests calling Burson Church at 209-772-9310 for a list of referrals. In the Valley Fire area, contact the Sonoma Humane Society for information about fostering displaced pets. Foster homes for medium- and large-sized dogs are especially needed. Some especially sweet news: To make room for a Lake County shelter’s influx of pets during the Valley Fire, volunteer foster parents rescued all the dogs and cats who were scheduled to be euthanized, thus sparing their lives and helping to save fire victims as well. Hooray for these heroes! Along with families and their pets, fairgrounds in the Butte Fire and Valley Fire areas are also sheltering displaced horses and livestock. Here are photos of some of the displaced horses staying there. 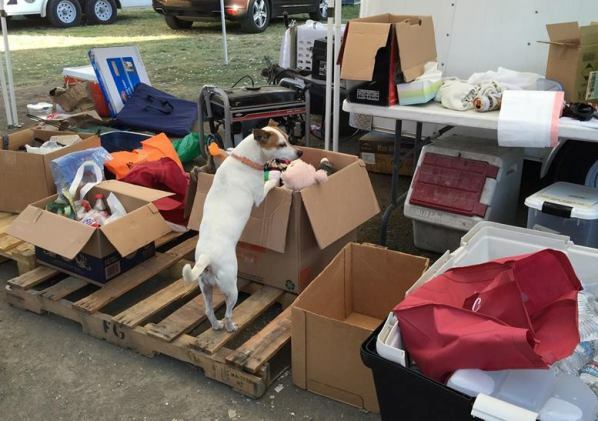 A shelter has been set up at the Napa County Fairgrounds in Calistoga for families, pets and animals displaced by the Valley Fire. For information about helping horses there, check the Lake County Horse Council website. “There has been an outpouring of donations, but everyone’s needs will be different,” the council wrote on its Facebook page yesterday. 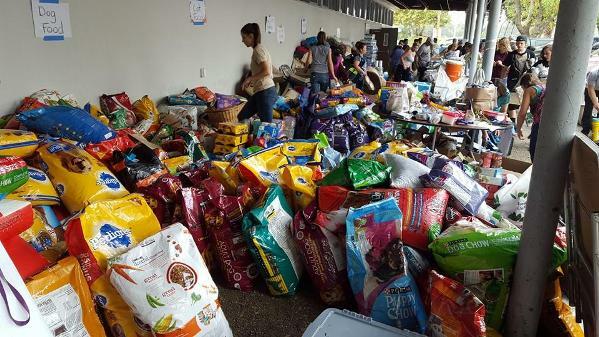 Are any other animal shelters or rescues in these areas in need of supplies and cash? Please leave a comment below and I’ll add them. Thanks!